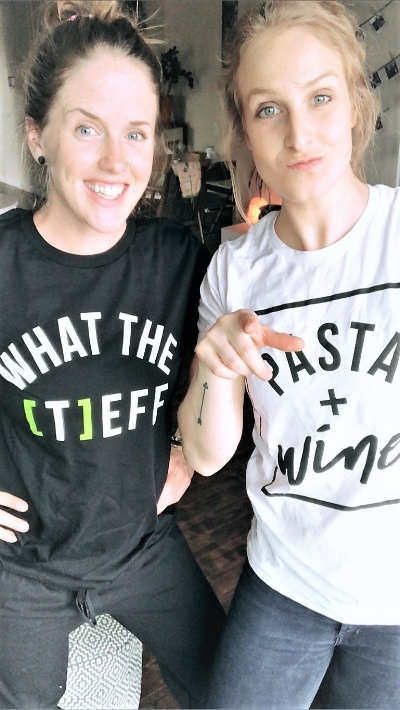 Yup, you guys read that correctly, HIGH PROTEIN No-Guilt Fettuccine Alfredo. I know it sounds too good to be true, but it’s not! For those of you who have downloaded the All Protein Erythang e-book, you will find many tasty high protein recipes. Now after trying this High Protein pasta from Gabriella's Kitchen the ideas are flowing for a second (or third) cookbook! So many people have messaged me with excitement over the juicy dill pickle burger or the protein cheesecake and now I am excited to present another delicious high protein recipe to you all! After posting the pasta party Gabriella's Kitchen asked me to host on my Instagram story so many people were interested in getting there hands on the recipe so drum-roll please..here it is! HIGH PROTEIN pasta uses all natural ingredients and is fortified with vegetarian protein from non-GMO sources. There is no corn, rice, additives or preservatives used in this pasta. This high protein pasta also has a low glycemic index making it a suitable choice not only for those watching carbs or looking for another source of vegetarian protein, but also for diabetics. Home made hummus has been one of my obsessions lately so in an effort to make sure I don't just spoon eat it all, the idea of using hummus as a creamy sauce felt like it was worth a shot. I wasn't really sure how it would turn out, but do you know that moment when you start to do something and you instantly know it is going to be so good? Yeah, that is what happened here. Something else to take note of is that Gabriella's Kitchen high protein pasta cooks in UNDER 2 minutes so please don't use the "I don't have time to eat healthy" excuse on me here. 2. On a rimmed baking sheet, toss the broccoli with the olive oil, cayenne, garlic powder, and a big pinch each of salt and black pepper. Roast for 15 to 20 minutes, tossing once, until lightly charred. 3. Meanwhile, bring a large pot of salted water to a boil over high heat. Add the pasta and cook until al dente according to the package directions. Reserve 1 cup of the pasta cooking water, then drain the pasta and immediately return it to the pot. Add the hummus, about ½ cup of the pasta cooking water, the lemon zest, lemon juice, butter, and nutritional yeast. Toss until a creamy sauce forms. Thin the sauce with more pasta cooking water, a little at a time, as needed. Add the basil and parsley. Taste and season as needed with salt and black pepper. 4. Add the broccoli to the pasta and toss gently. Serve immediately with extra fresh basil and/or parsley on top if desired. 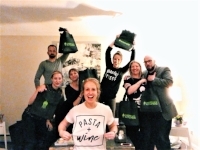 Thank you to Gabriella's Kitchen for supplying me and some of my wonderful friends with the goodies to host a Pasta Party. 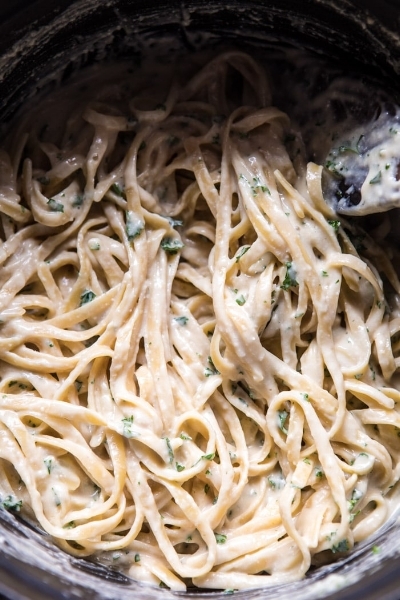 We wore stretchy pants but didn't feel any of the usual bloating or guilt because of this incredible high protein no-guilt broccoli fettuccine Alfredo recipe. Sign up with your email address to receive more tasty recipes like this! Thank you! If you are interested in surrounding yourself with a community of like minded people, join the FREE Facebook group today.